Cloth scrim tears straight in both directions for easy handling and application. Conformable tape works well on curved and irregular surfaces. 3M Multi-Purpose Duct Tape 3900, General Maintenance, 48mm x 54.8m, Silver - Duct tape conforms to surface where applied and tears easily. 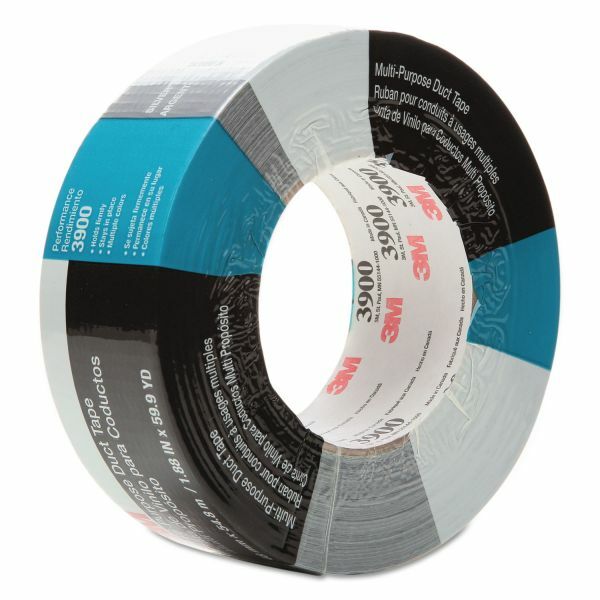 Utility grade duct tape has low tack edges. Ideal for general maintenance, wrapping, sealing and protecting. Polyethylene coated cloth with rubber adhesive. Withstands temperatures up to 200°F/93°C for up to 30 minutes.